If there is one nationality that conjures up the image of swordsmanship, I’m willing to bet it would be the Scots. The gap between popular culture (Highlander, Rob Roy, Braveheart) to reality, though, is one that is often overlooked. Recently a few of us within the Virginia Academy of Fencing have begun a group to study the weapons and fighting techniques of the 18th Century Scottish Fencing Masters. 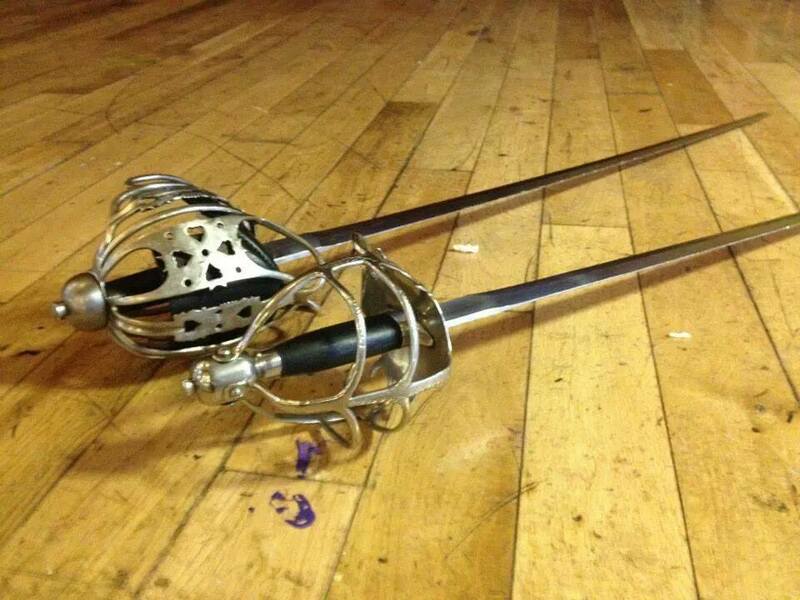 We began with the use of the Scottish broadsword of the late 18th century. Two reproductions of baskethilt broadswords.